There’s gold in them there digital hills! 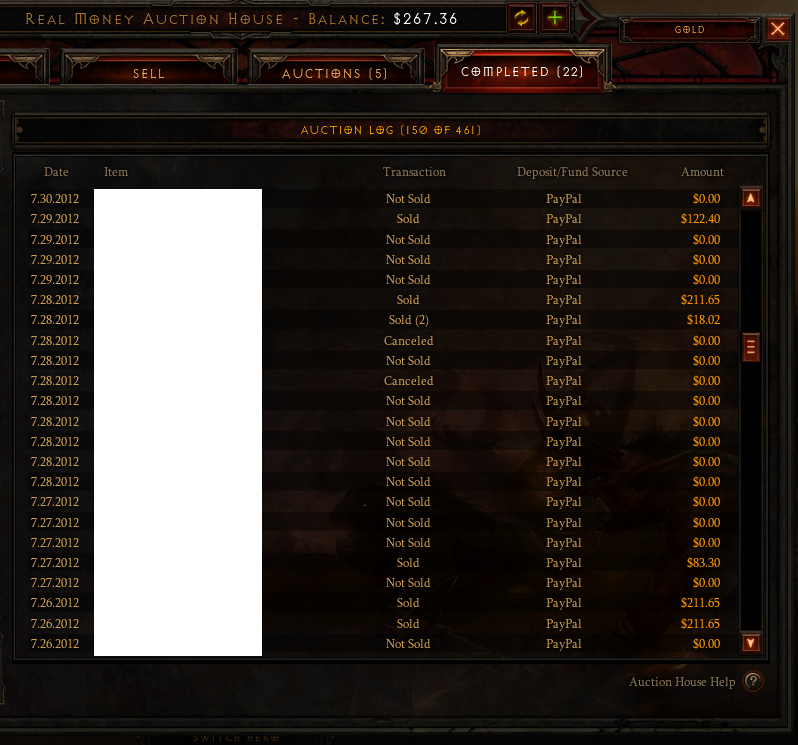 Ever since the release of Diablo 3, one aspect that has really had players excited was the opportunity to make some actual cash, using the in game auction house. Although, after several taxes, there might not be much left, one Reddit user has managed to make himself over $10 000 so far, in cold hard cash. WishboneTheDog recently posted on Reddit, with some substantial evidence, at how his escapades in the Blizzard game had netted him a small fortune. He’s put up screenshots of his in-game progress and of his PayPal account as well, an effort that has also launched him his own Reddit thread, in which he details the economic climate of Diablo 3. But before you quit your day job to go prove your parents wrong about video games making you cash, don’t get too excited. Seeing as how Diablo 3 had a rather short storyline to quest through, there has been a drop in players, resulting in a current decline in activity at the auction house. Although this should pick right up, once Blizzard finally initialises some PvP support for the game. Making money in games has long been the dream of various slackers and Asian farming syndicates, but it also has the possibility to drastically alter a game and the landscape that it inhabits. I’m all for it, but it also needs to be monitored and action needs to be taken when the system is abused. What do you think though?